Time off, travel plans, hotel reservations. These things don’t happen at the last minute. 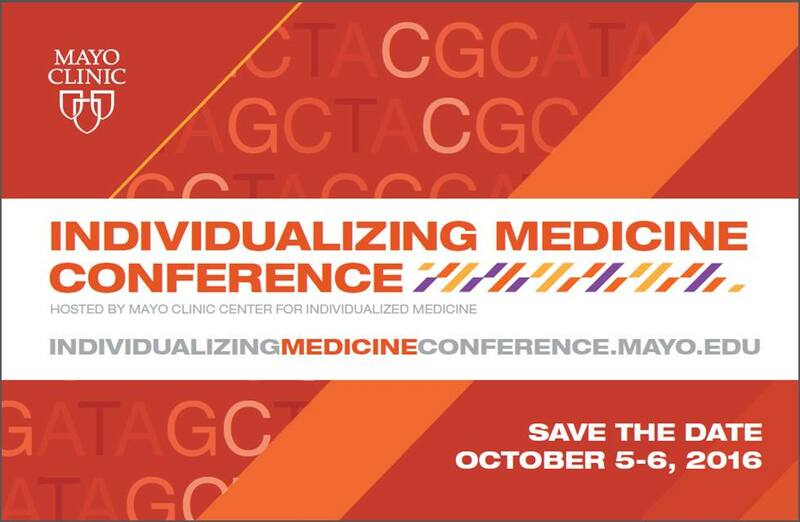 If you’re interested in genomic medicine and how precision medicine is being applied in health care today, you should be planning now to join us at Mayo Clinic in Rochester, Minn., for the 2016 Individualizing Medicine Conference. The dates are October 5–6, 2016. Mark them down, save the date, go talk to your boss today! Make those plane reservations, and book your hotel room now! Genomics has been moving out of the researchers’ laboratories and into the clinicians’ waiting rooms. Patients are coming in better informed than ever before. You’ll want to be, as well, and here is the opportunity. 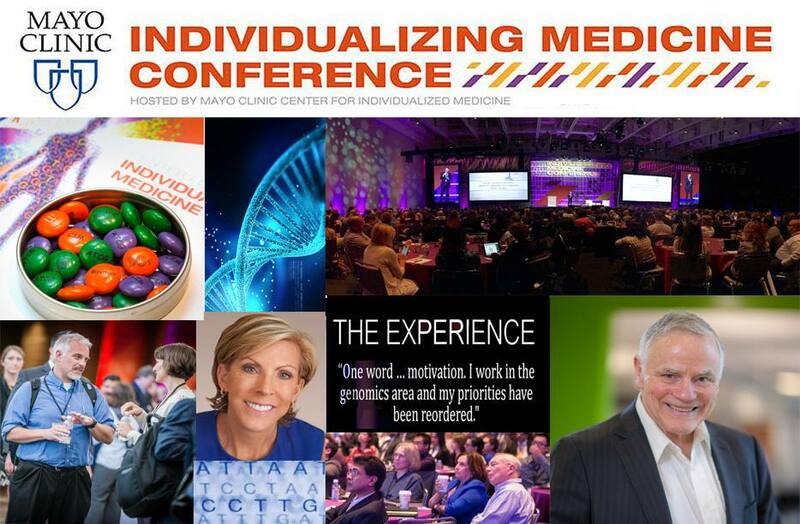 Whether you’re a physician in Seattle, Wash., a certified genetic counselor in Palo Alto, Calif., or a researcher in Washington, D.C., the Individualizing Medicine 2016: Advancing Care Through Genomics focuses on how to translate the promise of genomic medicine into better patient care. Hosted by the Center for Individualized Medicine, the fifth annual conference on everything genomics will be an opportunity to hear expert speakers with updates on cancer research, on the latest discoveries in pharmacogenomics and what is happening with the National Institutes of Health’s Precision Medicine Initiative. Epigenomics, the microbiome, and biomarker discovery are just a few of the topics featured in focused breakout sessions and case studies. They will take you into the details of research with some of the most knowledgeable experts in the field today. A poster session will provide opportunities to discover and discuss emerging topics in applied genomics. Designed with the professional in mind, concurrent sessions offer practical genomic medicine applications in practice to in-depth discussions about the microbiome, epigenomics, pharmacogenomics, and more. Continuing education credits are offered. For more information, check in frequently on the conference website. Read more on our blog for conference and speaker updates, and follow us on Twitter at @MayoClinicCIM.